Last Wednesday Jessica and I were both craving pizza after a long workday, so she called in an order to Lamonica’s in Westwood. Here, I feel obliged to insert a snobbish comment about the superiority of NYC pizza. So I will. 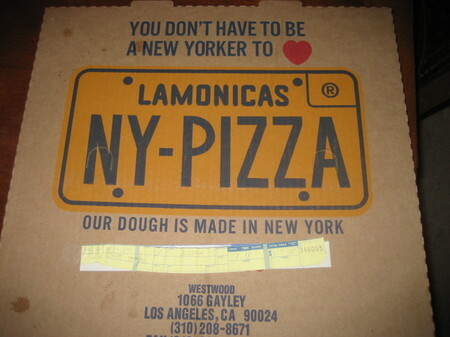 While Lamonica’s dough may be made in New York, it certainly can’t touch any number of spots in the five boroughs, including my beloved Carmine’s Original in Greenpoint, Brooklyn. 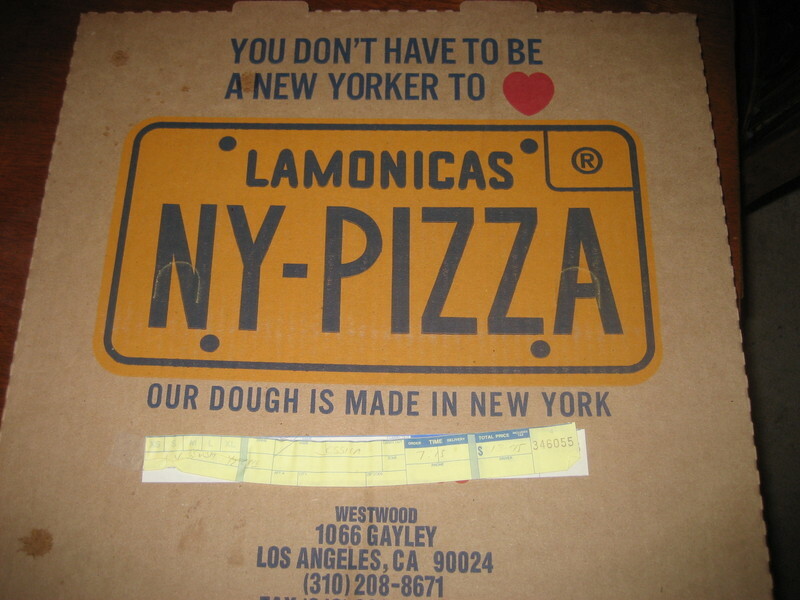 That said, Lamonica’s wasn’t half bad, and I’d recommend it to any New York transplant searching for something resembling a "slice." 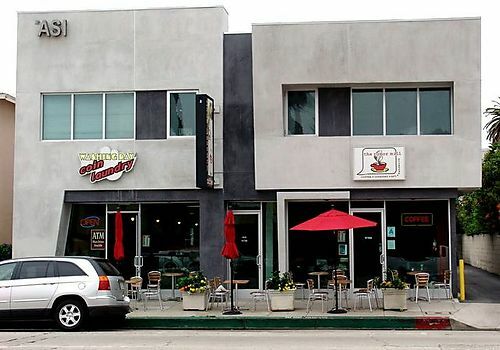 There used to be a Downtown location, on 6th near Grand, which closed down a few years ago. It was tons better than the Westwood location.